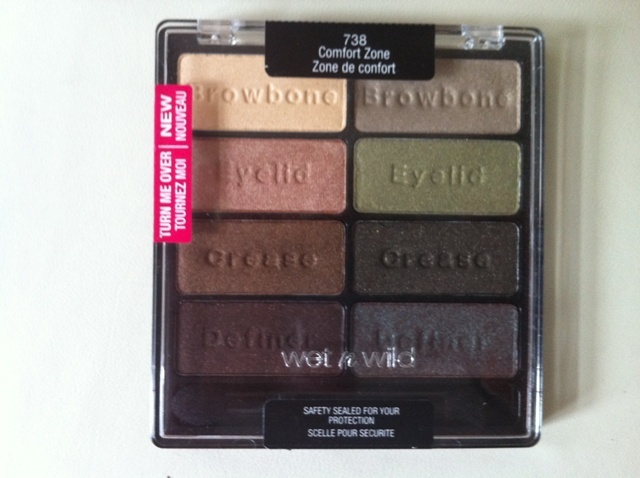 Wet n Wild Comfort Zone is the second palette that I purchased from the Color Icon line with 8 eyeshadows. Blue had me at hello didn't catch my attention. 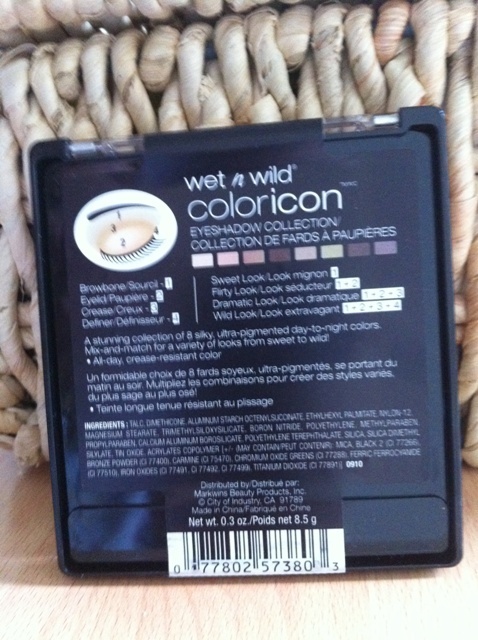 If you want to read my review on the Petal Pusher, here is the link: http://beautyandbrains007.blogspot.com/2012/05/wet-n-wild-color-icon-8-color-palette.html . So... the palette has 8 eyeshadows, 4 more neutral, earthy ones and 4 shades on the green side. I wouldn't really say that green eyeshadows are in comfort zone, because a lot of people don't wear them, but they are wearable shades. 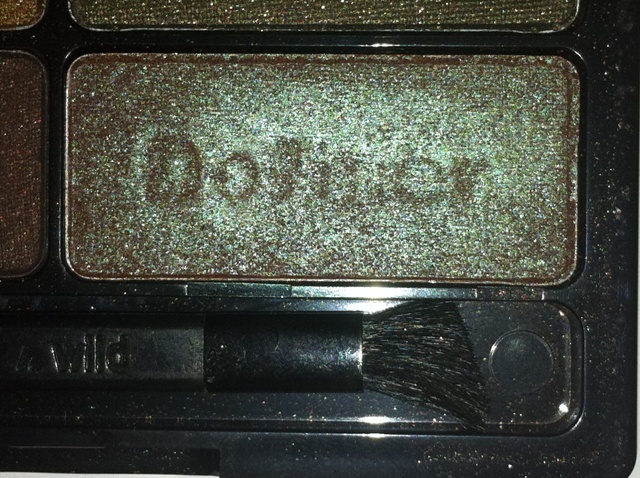 All 8 shades are with shimmery and satin finish, there are no mattes in this one. I would prefer at least one nice light brown crease shade. Just to soften the look. I used this palette for a while before writing this review. Two looks they suggest (following imprints) looked very nice and wearable. They also suggested 4 looks at the back: Sweet, Flirty, Dramatic and Wild look. I appreciate the effort although my ideas were great, too. All the shades are extremely pigmented and well worth the hype. I was especially surprised with the lid colour on the green side. AMAZING pigmentation and one good swipe with the brush will be enough for the whole eyelid. 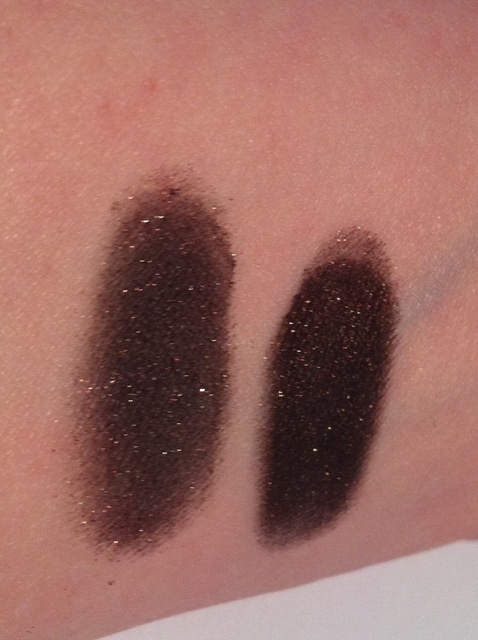 All of the darker shades, on both sides (left and right), are Crazy pigmented so I suggest a light hand. It is better to build up the colour than to be unpleasantly surprised. The colour that I like the most is the lid colour on the left. It is a rose gold shade with a touch of copper. LOVE IT!!! They wear well and will last you during the work day. I apply TF Shadow insurance underneath. I didn't experience any fallout with these. I use Sigma brushes and always tap off any excess before applying eyeshadow to my eyes. 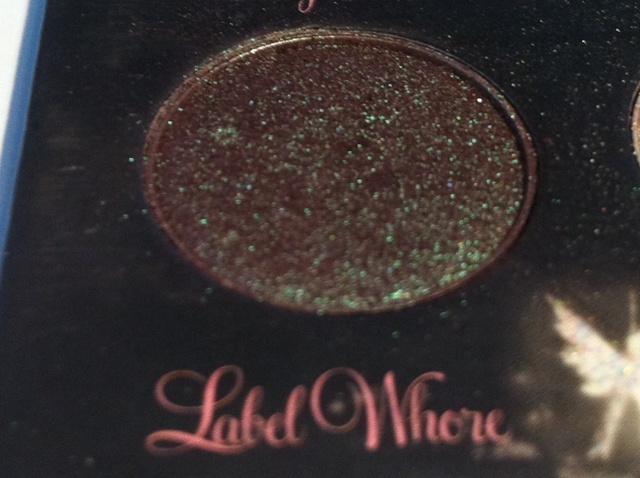 Right- this colour is mixture of brown and green with red undertones, the colour will change depending on the angle and light, the pigmentation isn't bad but when compared with similar colours (high end dupes) like Too Faced Label Whore or MAC Club, it is definitely less pigmented; then again the price is not comparable, so...; I am posting pictures of TF- Label Whore and WnW colour below just to see the difference; I can't compare MAC Club because I don't have it in my collection. 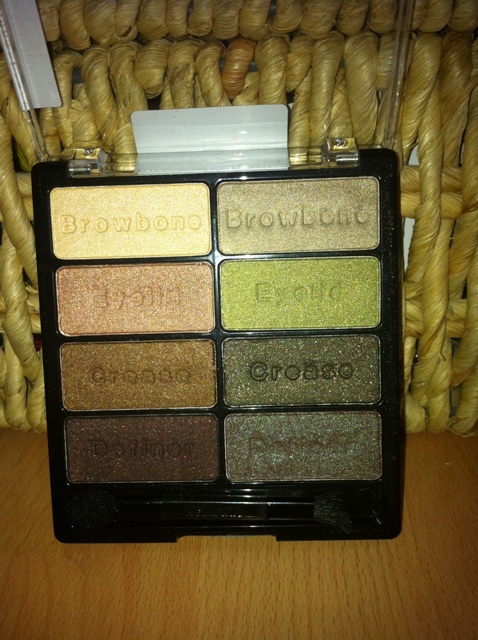 The price of this palette is 5$ if you live in the USA/3.5.GBP/4 Euros. If you are not in the USA, the price depends on shipping costs. 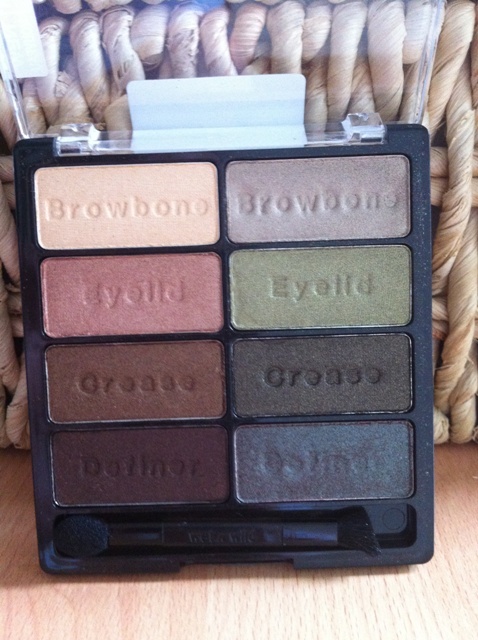 I bought this palette on ebay but I waited a long time to get it for a good price with reasonable shipping costs. Most of the sellers have it for 10 $ plus shipping. When I think of its original drugstore price, I just don't want to pay that much. I found a good website and ordered some palettes from it. Their shipping is really fast (received 1 package in 10 days from ordering) and products were all sealed nicely to prevent any damages. I didn't receive the other package but it has only been 2 weeks from ordering so it is not like there is some serious delay or something. Can't really tell much about their customer service because I didn't experience any problems. I am posting their website link if you want to check them out. I am not affiliated with them in any way. Found them through google. The link is www.nonpareilboutique.com . If any of you have shopped with them before, please tell me about your experience. In the end, this is a good palette to have and worth the hype. 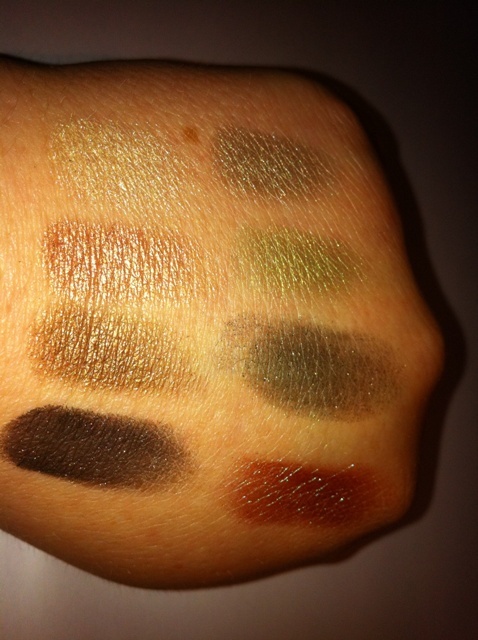 All 8 eyeshadows are pigmented. If you like to wear neutral tones and green colours, go for it! All the green shades are very wearable and you will enjoy them for sure. If you don't like greens, I would pass on this one. 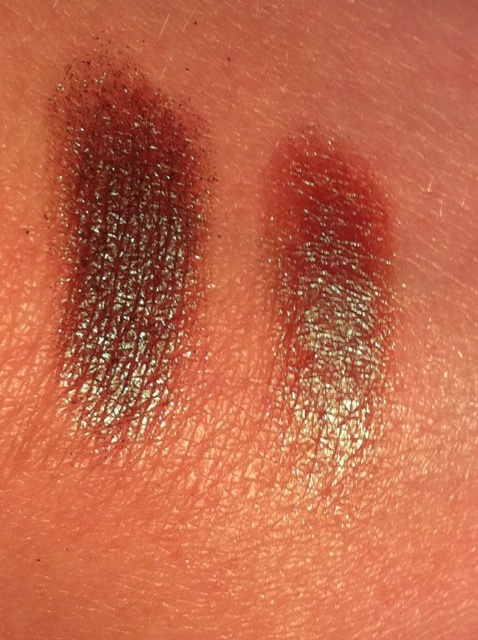 Wet n Wild offers so many neutral trios that you don't need to buy this one. 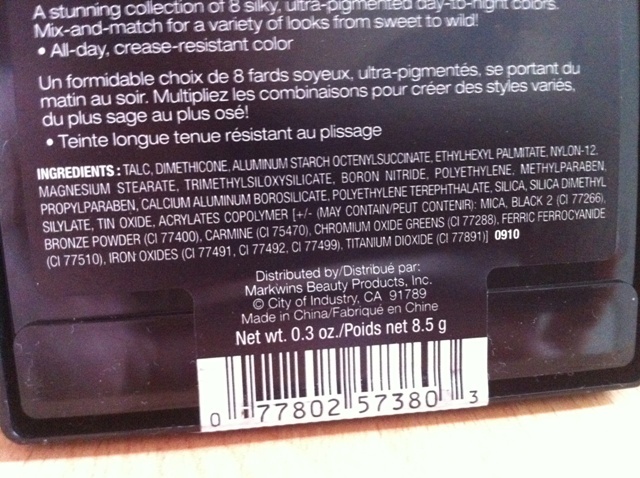 If you have hooded or more mature eyes and prefer matte shades, don't get it because there are no mattes in this one. If you love makeup and have other matte options, get it. What do you say? Do you own this one?